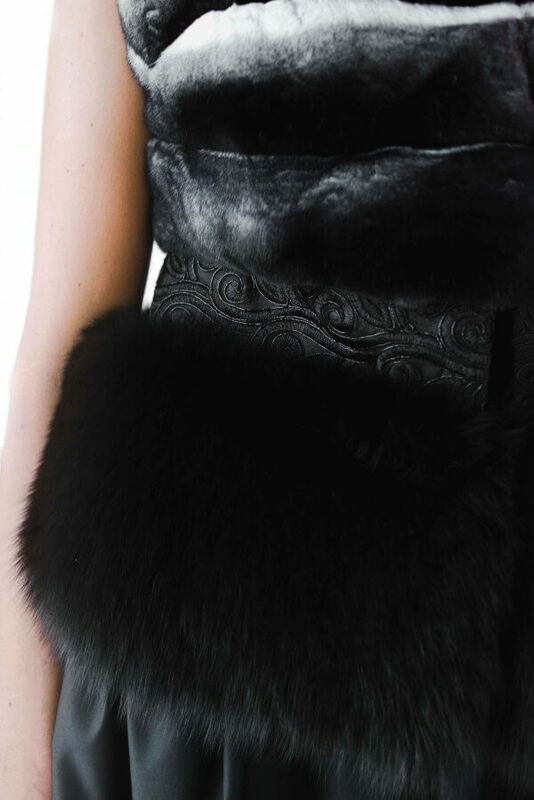 This amazing vest is made with lots of love and efforts combining two different fur types together and other capricious fabrics to make one exclusively chic garment for the most fanciful client. 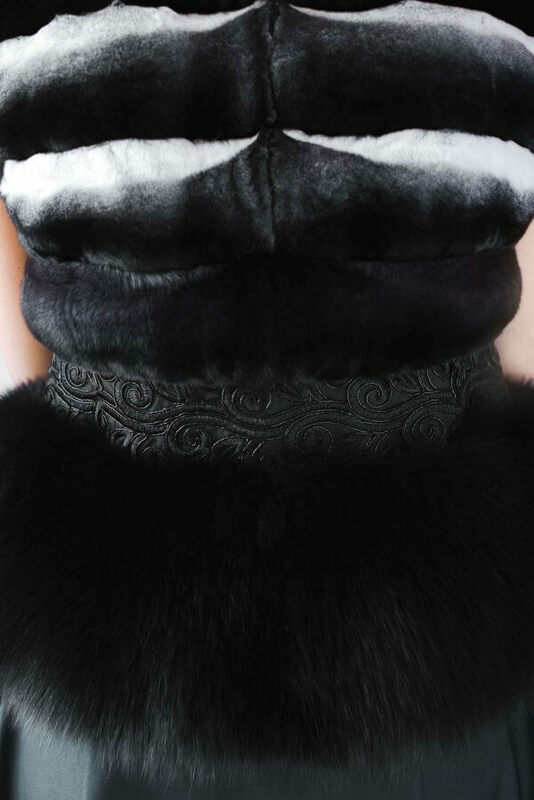 This genuine chinchilla fur vest consists of even two types of chinchilla fur, which is standard type and ebony, latter is very rare to find what makes this vest so special. Silk and tracery gives even more power to this unique FurbySD garment. Make everyday special!